India defeated arch-rivals Pakistan in a thriller by two wickets to lift the trophy. 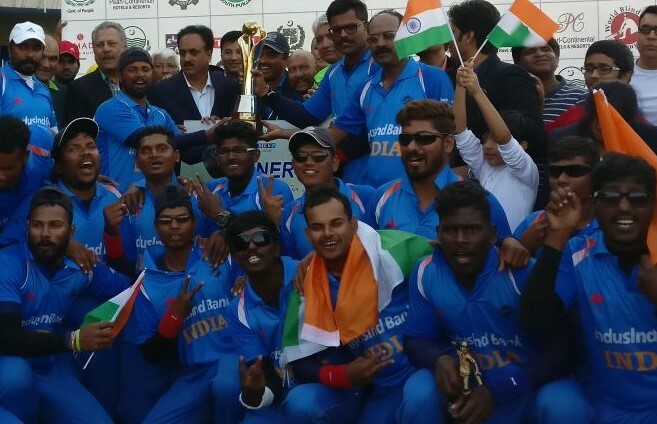 India’s visually impaired cricket team emerged victorious in the 5th edition of Blind Cricket World Cup on Saturday (January 20) in Sharjah. 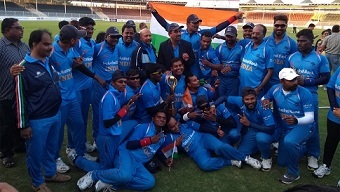 The Ajay Reddy led Indian blind cricket team clinch their second consecutive title by beating the arch-rivals Pakistan in a thrilling final by two wickets. 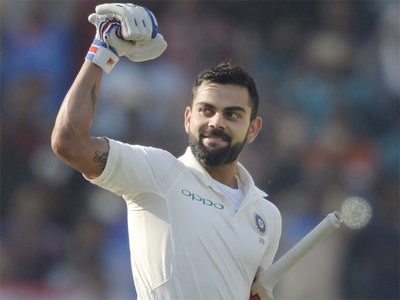 Chasing 309 for victory, Sunil Ramesh scored a well composed 93 while skipper Ajay Reddy made 63 as India chased down the total with more than one over to spare. 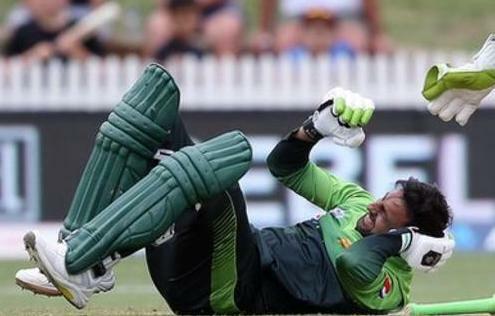 Earlier in the tournament, India had also defeated Pakistan by seven wickets in the league match. Moreover, the defending champions remained unbeaten throughout their successful campaign. Following the special triumph, Indian captain Ajay Kumar Reddy stated that this win is dedicated to the Armed forces of the country. “First of all we are really happy we won this World Cup. We have done a lot of hard work for getting here. My team did a great job,” Reddy was quoted as saying by Indian Express. “This win we dedicate for the Indian Army because they are working hard to ensure that the country’s common people remain safe. Some of them lose their lives also while doing that so we have decided that this win is dedicated to the Indian army,” he further added. Reddy then gave insights into his team's preparation for the all-important final. The Indian captain also expressed his gratitude for all the people who prayed for his team. “In our team meeting yesterday we had decided that we will field first if we won the toss,” Ajay said. “We had won the toss and we did decide to bowl first. We also managed to restrict them to a chasable total. We lost the openers quickly but Sunil played well. The team’s batting line-up is very strong. I don’t lose hope until the 11th man is out,” he added. “All the people who have prayed for our win, we thank them because since the beginning the game has gone our way,” he concluded.